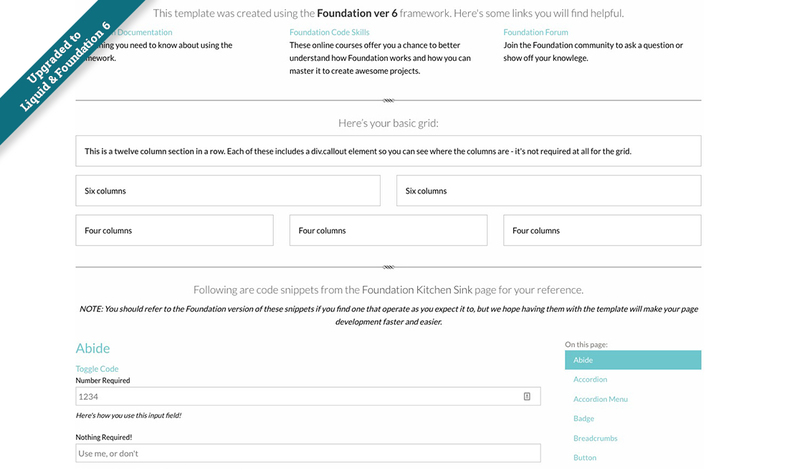 NOTE: this template is built on the Foundation 6 Framework. 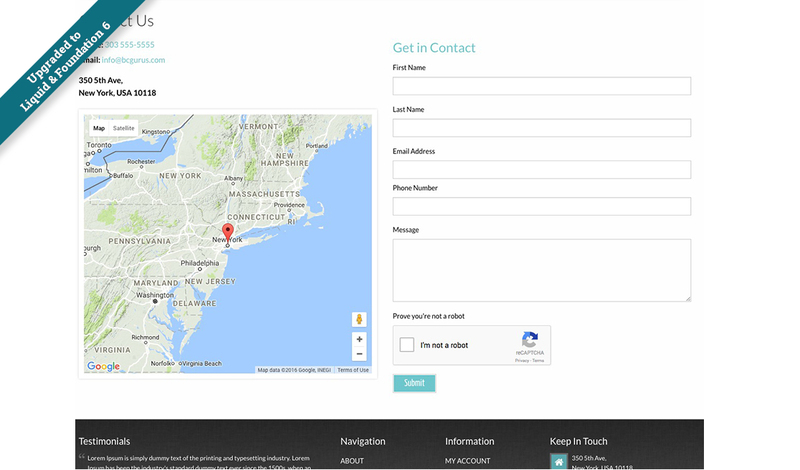 See our video series here for the updates & enhancements that have been incorporated into the template. 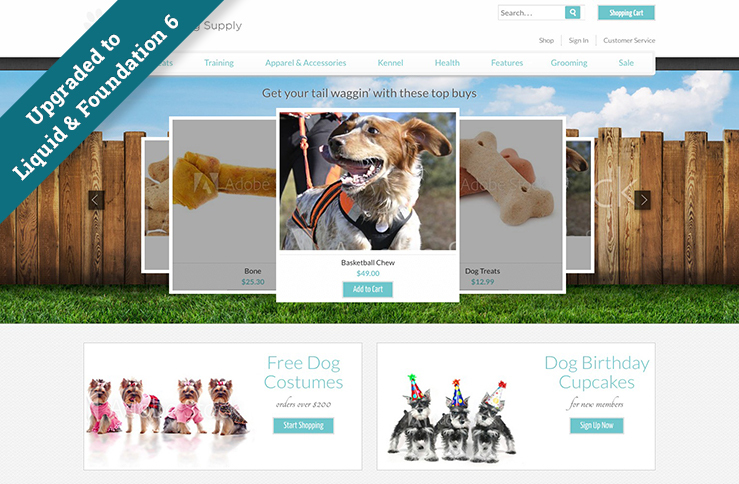 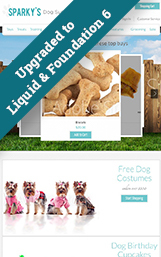 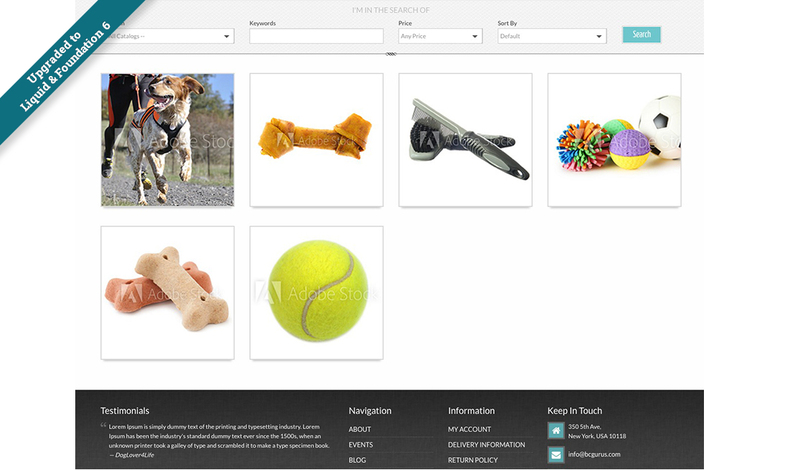 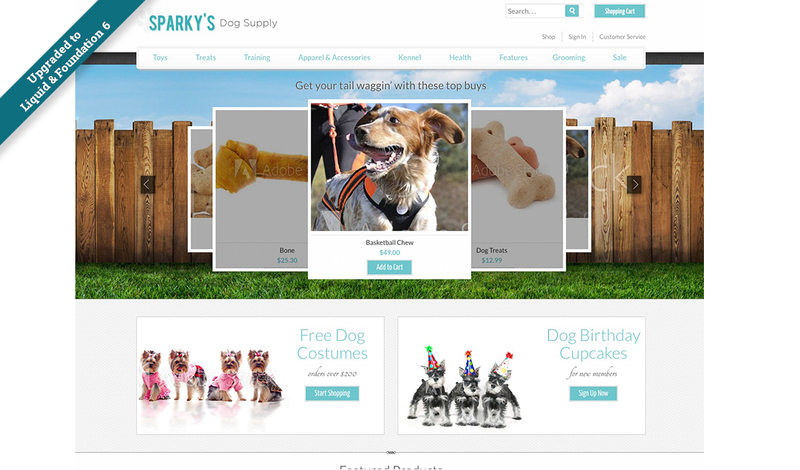 The Sparky's Pet Supply template is an ecommerce focussed design, for a small pet supply store, it’s a fun and straight forward layout and could be a great way to get them started. 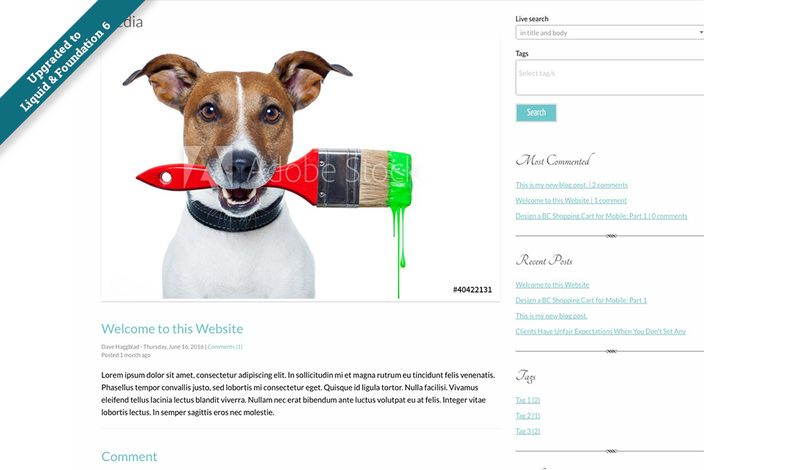 This template does not use webapps. 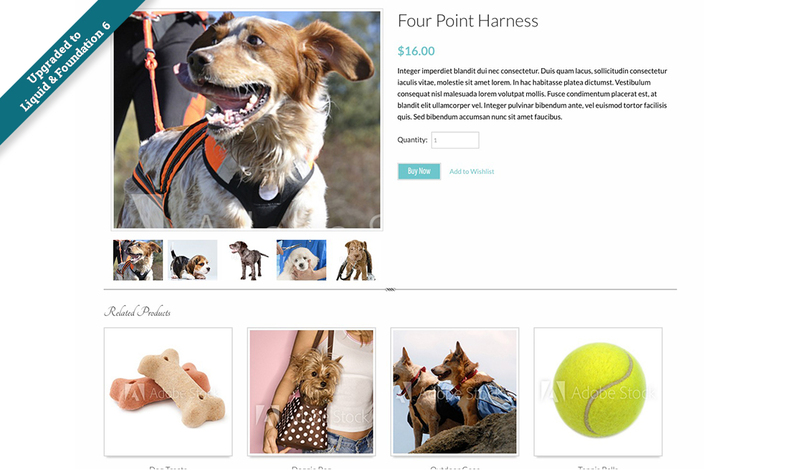 The homepage 'Roundabout' slider and the Featured Products section are driven by your product catalog. 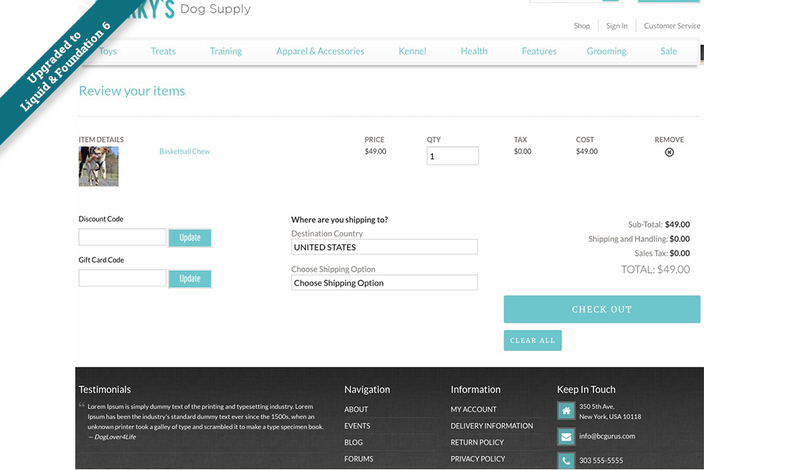 That said, you can easily add your own webapps for what your client needs. 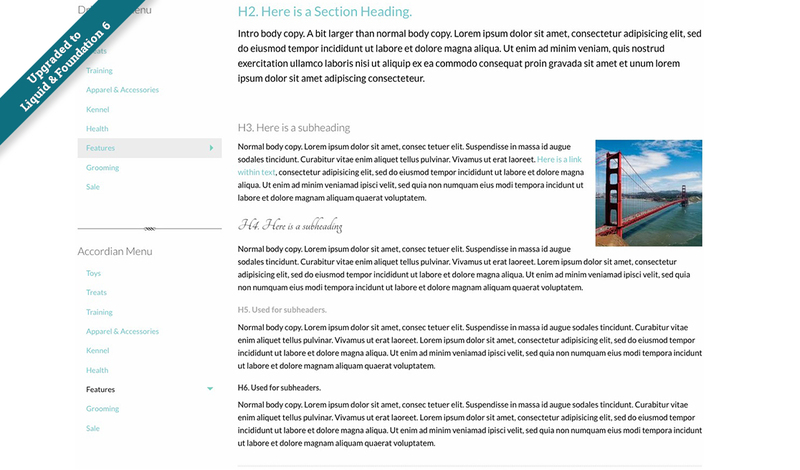 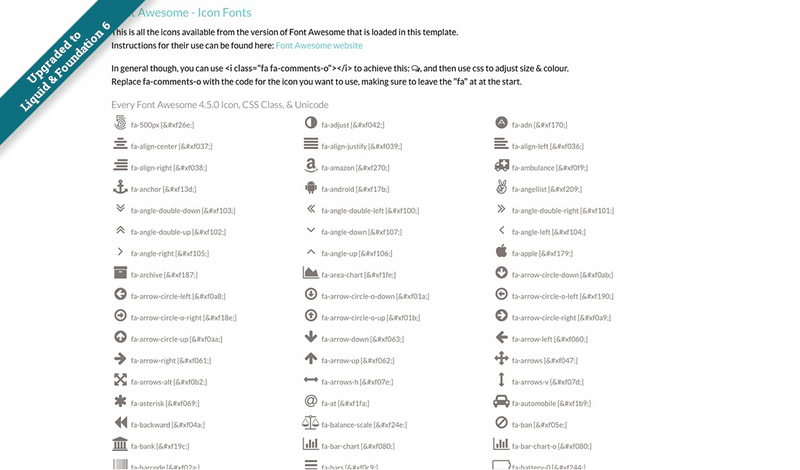 Separate HTML files included in the Resources folder.